"iOS 11 beta 3 has bricked my iPhone 7 Plus. Try and restore in recovery mode now, just gets stuck on Apple logo, don't advise updating and won't boot yet." Compared to the first and second public beta version, iOS 11 beta 3 seems to be much worth the wait for a range of new features and bug fixes, also the improvement on processing speed and system fluency. However, a certain number of users reported that iOS 11 beta 8/7/6/5/4/3 stuck on Apple logo during download and installation. If you have unfortunately run into this situation, please refer to the 3 tips on this post about how to fix iPhone & iPad stuck on apple logo without losing data on iOS 11.2 beta, 11.1 beta 4/3, public beta 2/1, or beta 2/1. Most of common iOS related issues can simply be troubleshoot by entering and exiting Recovery Mode. When iPhone stuck on Apple logo during upgrade iOS 11 beta 3, don't hesitate to put the device into Recovery Mode. Free Tenorshare ReiBoot is an easy and useful tool to quickly reboot your iOS 11 bricked iPhone into Recovery Mode with 1 click. Simply connect your device and click the highlighted Enter Recovery Mode on the screen and then exit. You are supposed to get rid of Apple logo after that. 1. Run Tenorshare ReiBoot on your PC/Mac and connect the bricked iOS 11 iPhone/iPad with it. Hit Fix All iOS Stuck firstly and choose fix new iOS 11 problems accordingly once detected your device. Tip: If Tenorshare ReiBoot didn't recognize iPhone/iPad, please try to enter Recovery or DFU mode manually to enter the next step. 2. Following the instructions to navigate to downloading matching IPSW file as a repair tool for iOS 11 beta 3/2/1. By default Tenorshare ReiBoot will provide you with newest iOS 10.3.3, or you can select and import any desired iOS firmware as you like. 3. Click Start Repair after firmware package has been downloaded to computer. When completes, your device will automatically reboot and successfully bypass frozen Apple logo screen. iTunes indeed helps to unfreeze an iPhone stuck on Apple logo, but I shall not recommend you to do that for two reasons: iTunes will wipe out some contents from your device and iTunes errors may keeping pop up. If you have made an up to date backup before upgrading to iOS 11 beta 3, you are allowed to get iOS 11 stuck device back to normal using iTunes. Before start, please enter Recovery Mode to make the device be detected by iTunes since it's not in normal condition now. You will be asked whether to Restore or Update iPhone then. Of course, the only choice here is to Restore and wait for iTunes fixing your iOS 11 beta device. That's all for how to fix iPhone 7/7 Plus/6s/6/5s/5 stuck on Apple logo after installing iOS 11 beta 4/3 or iOS 11 public beta. 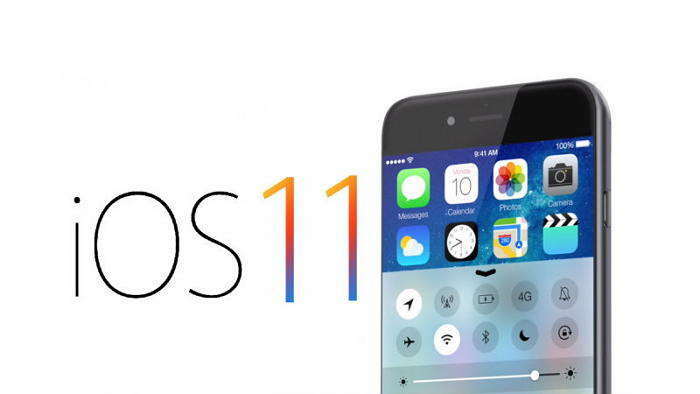 If you have other problems with iOS 11 update, please visit top 15 iOS 11 issues and fixes for more advice.